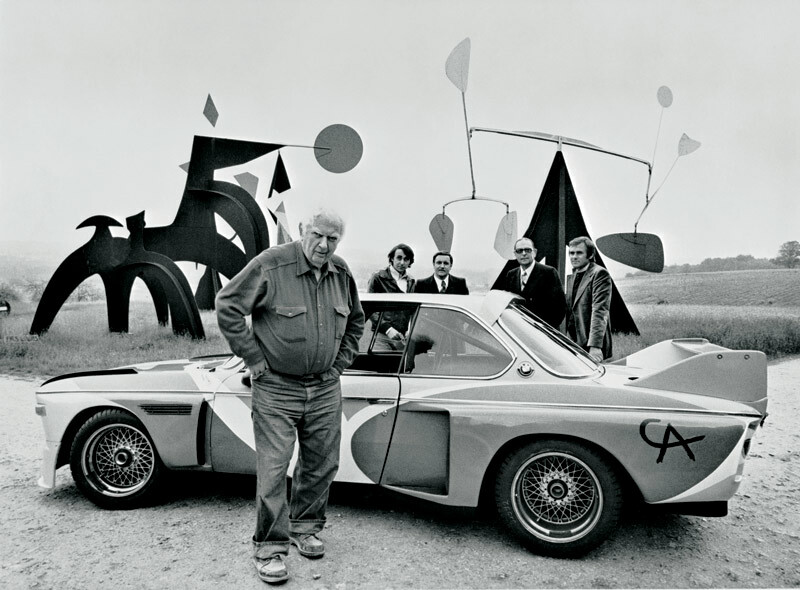 Today is the 119th birthday of Alexander Calder. I am lucky enough to live in a city where I can visit (and walk through) an Alexander Calder sculpture whenever I desire. People walk by it every day, exercising, walking their dogs, but I hope they realize the gift they are experiencing. Not everyone on their morning jog can experience world-class art. The world is a better place because he was in it and still feels the loss that he has left. BEST KNOWN FOR: Alexander Calder was an influential American artist and sculptor who invented the mobile. Alexander Calder (born July 22, 1898, Lawnton, Pa., U.S.—died Nov. 11, 1976, New York, N.Y.) U.S. sculptor. He was the son and grandson of sculptors, and his mother was a painter. He studied mechanical engineering, and in 1923 attended the Art Students League, where he was influenced by artists of the Ash Can school. In 1924 he contributed illustrations to the National Police Gazette. In 1926 he moved to Paris and began making toylike animals and circus figures of wood and wire; from these he developed his famous miniature circus. In the 1930s he became well known in Paris and the U.S. for his wire sculptures, as well as for portraits, continuous-line drawings, and abstract, motor-driven constructions. He is best known as the inventor of the mobile, a forerunner of kinetic sculpture. He also constructed nonmovable sculptural works known as stabiles. Although Calder’s early mobiles and stabiles were relatively small, he increasingly moved toward monumentality in his later works. His art was recognized with many large-scale exhibitions. What great sculptures and lucky you. People don’t see what beauty is in front of their noses. Well done to the Family representatives for boycotting the Ceremony.